This fine 19th Century French card table, featuring exceptionally detailed marquetry work, is the epitome of the elegant, free-spirited Rococo style of design. 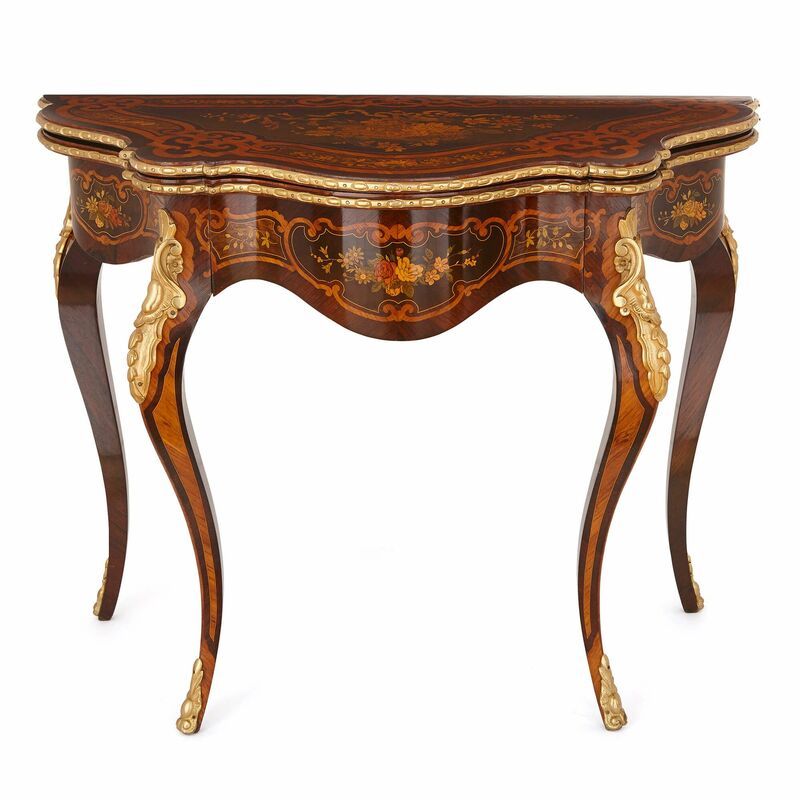 The table is of curved, semi-circular form with a bombé front, typical of the French Rococo style. 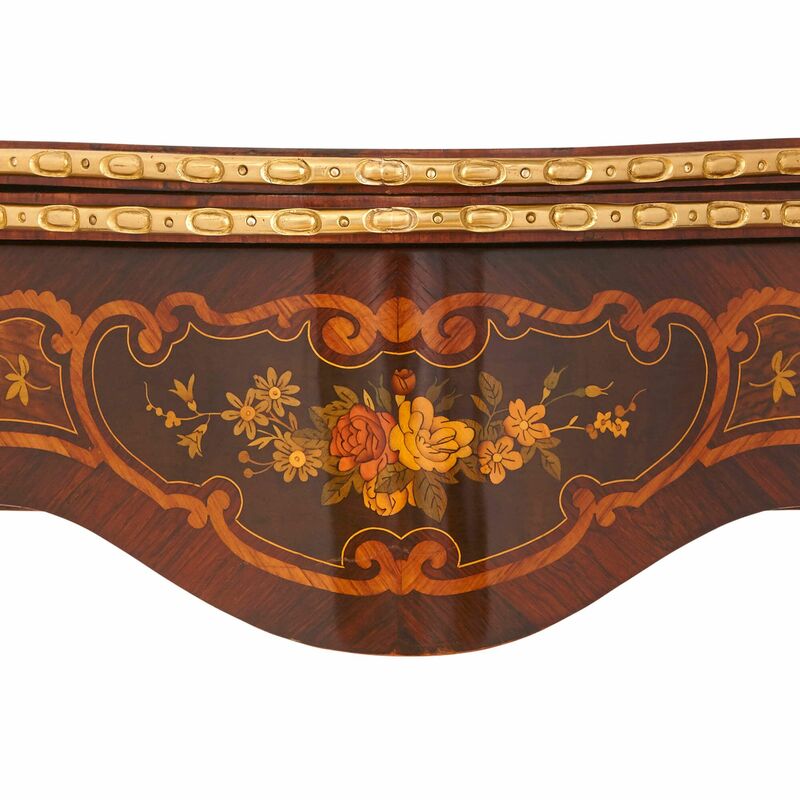 It features a hinged top, beautifully decorated in marquetry with a central depiction of a large floral bouquet surrounded by scrolling, foliate borders. The top opens outwards from hinges at the back to unveil a green, baize playing card surface, edged in scrolling, foliate marquetry. 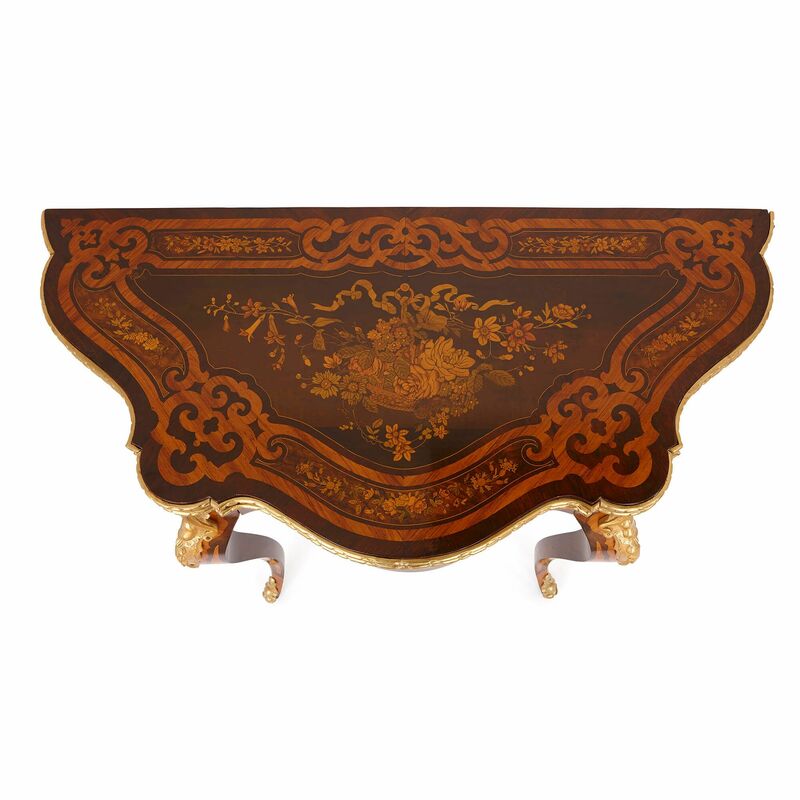 The outer rim of the table top is set with a band of ormolu impressed with oval motifs. 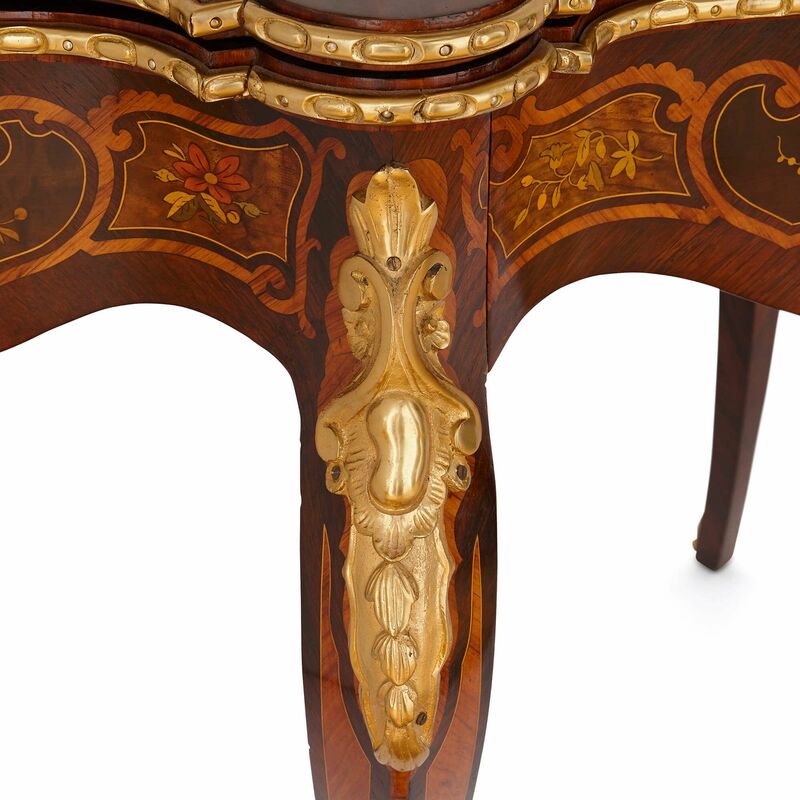 The curvacious sides of the table are further decorated with fine marquetry work, depicting bouquets of flowers in a number of woods of varying colour and tone. The front edge of the table disguises a drawer, which is the perfect place to store cards and other gaming paraphernalia. 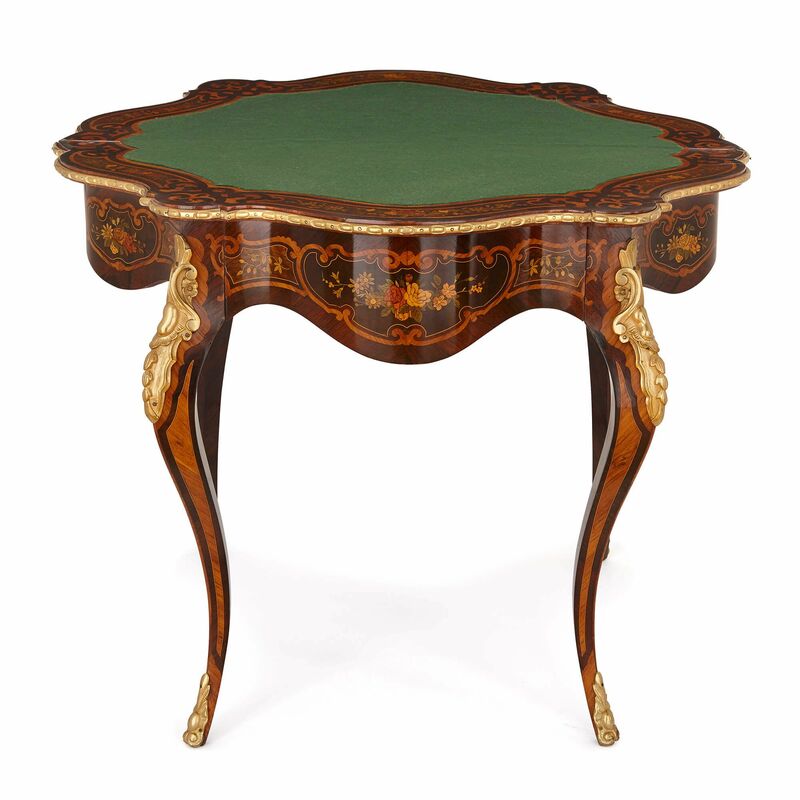 The card table is set onto four elegantly curved cabriole legs, which are mounted to the top and to the feet with exuberantly bulbous ormolu mounts. 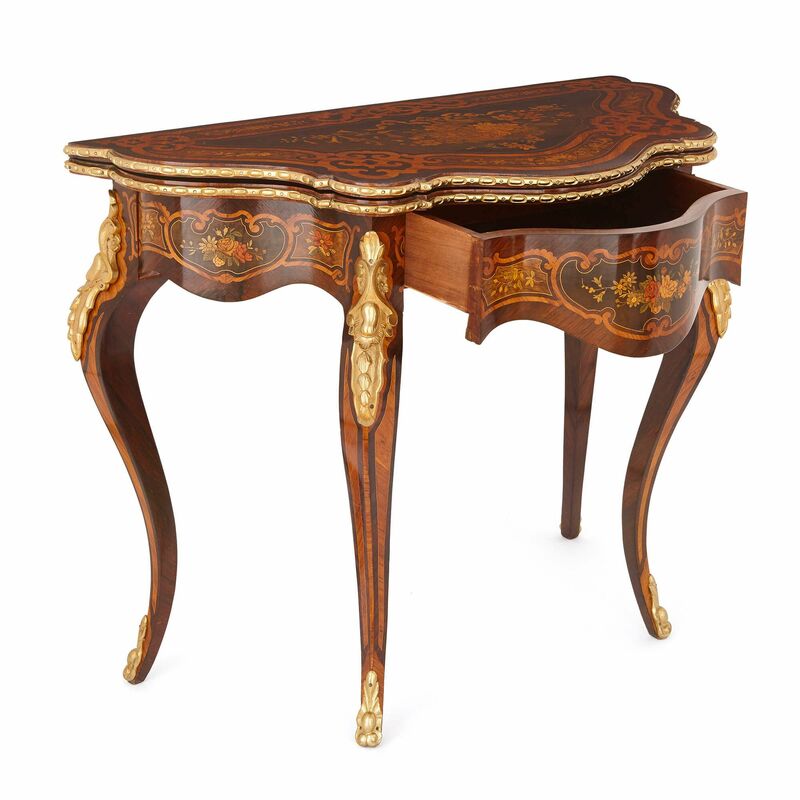 The table when closed measures: height 74cm, width 95cm, depth 47cm, with the depth extending to 95cm when opened.